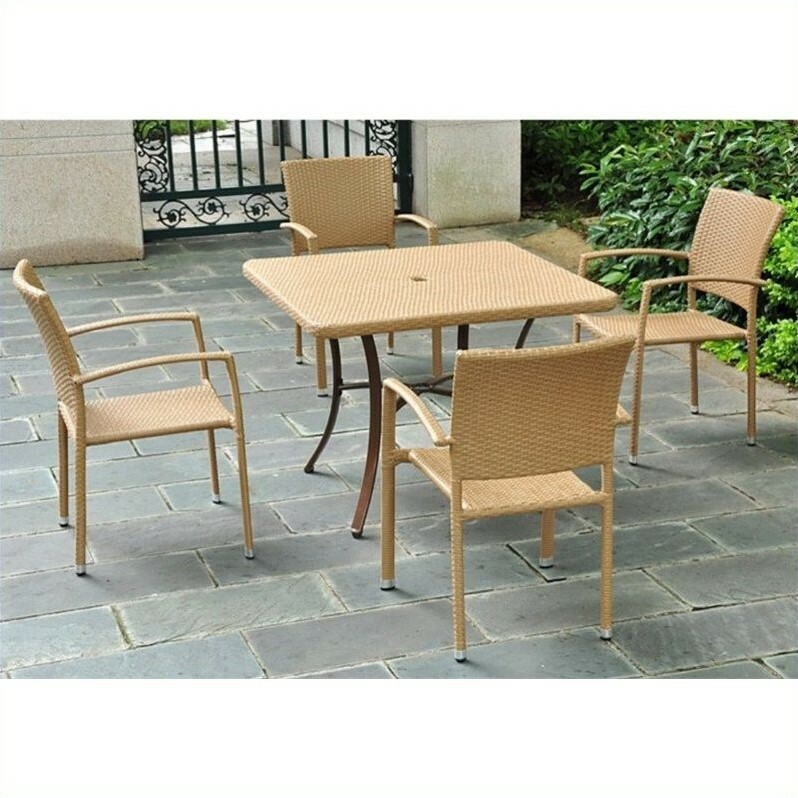 This 39" Wicker Dining Table made in aluminum rustfree steel and wicker resin is umbrella hole equipped. Has complete UV light fading and waterproof protection, as well as a light aluminum frame for rust free protection against harsh weather. Chairs sold separately.